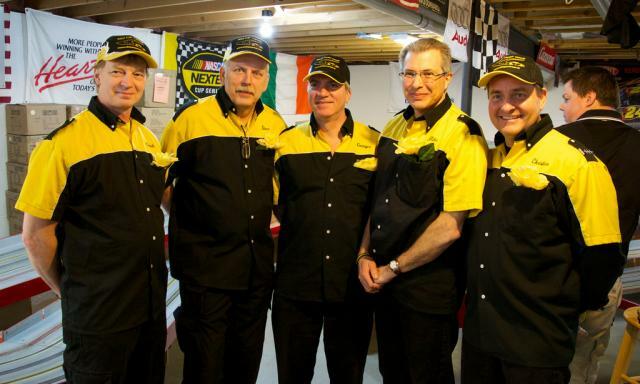 Business Spotlight: Motorleague – Fairbanks Alaska – nice article about Motorleague Raceway in newsminer.com. The raceway features 2 fully landscaped 1/32 scale tracks – a 253-foot track and a 273-foot track that is close to completion. 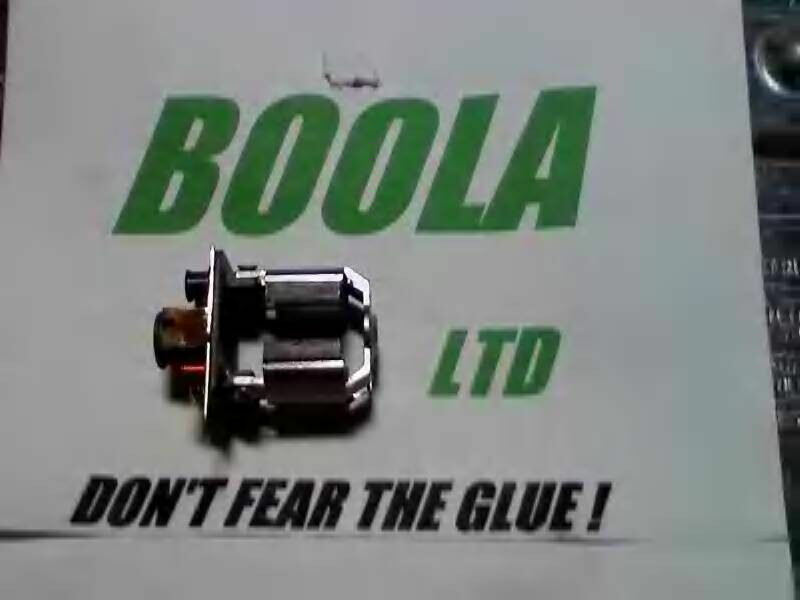 photo courtesy John Dougherty Motor include lots of spare parts. The colorful model cars make a whirring noise as they zoom down the racetrack at Motorleague, Fairbanks’ very own slot car venue, home to what might be some of the longest commercial tracks in the world. 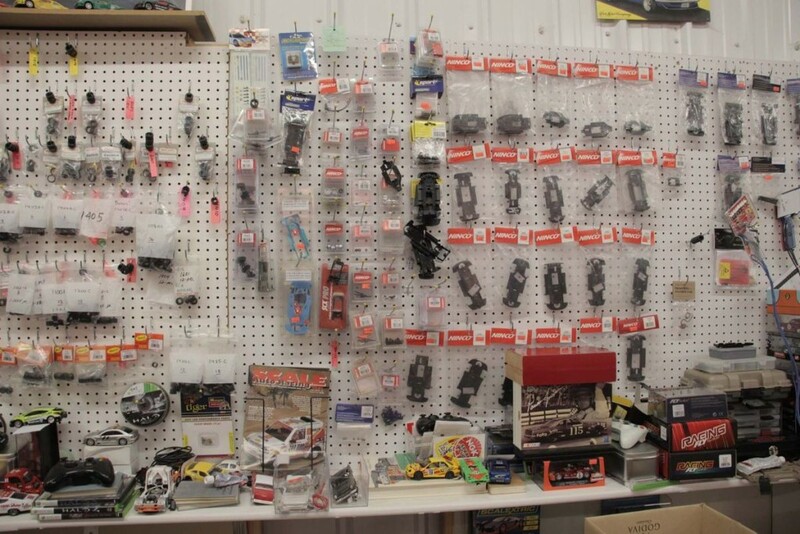 Motorleague’s owner, Ray West, is often sitting behind the shop’s counter talking to regulars and newcomers alike. “It was my favorite toy from 6 years old until the time I got my driver’s license,” West said. 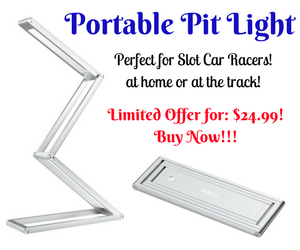 With slot cars, of course, no license is required. 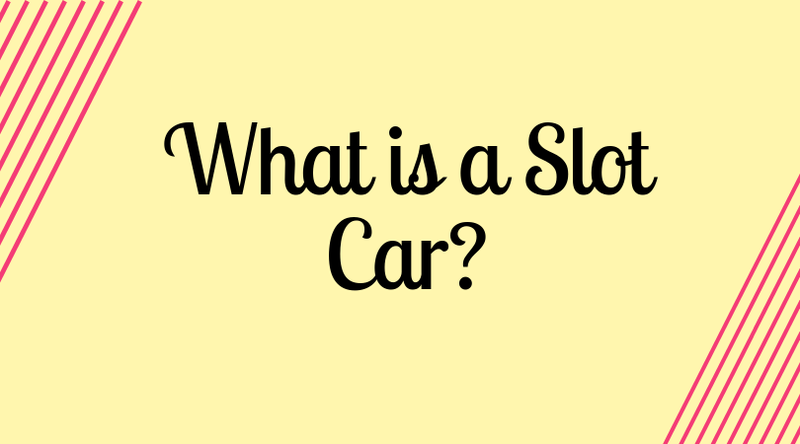 A slot car is an electric model car with a blade that extends from the bottom. 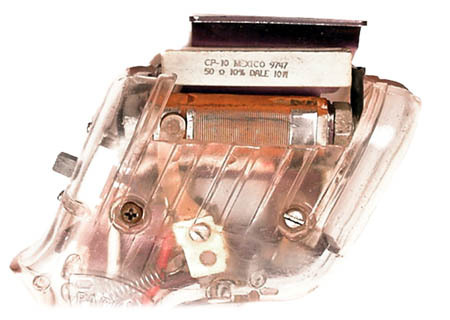 The blade is inserted into a slot on the track, and the car’s tiny engine is powered by electric strips that run the track’s entire winding length. 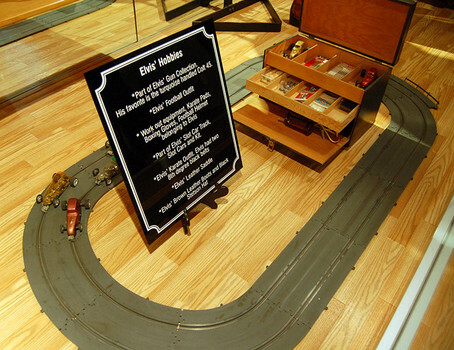 West’s business, Motorleague, has European-style, 1:32 scale slot car tracks, meaning the cars and the model forests, people, cars and houses bordering the tracks are all 32 times smaller than in real life. West got his first slot cars as a kid, when he received a Scalextric car set for Christmas. Once he turned 16, West got a real car and no longer saw the need for the toy versions. He did not play with the slot cars again for nearly three decades. But in his mid-40s, slot cars were again on West’s mind when he learned about commercial tracks in the Lower 48 and elsewhere. “I remember thinking, ‘Where are the good cars? You know, the ones I used to have, the 1:32 scale that are nicely detailed?’” West said, recalling his thought process at the time. West had not thought about the cars much until the Internet became more widely accessible. He started researching and found out there were more brands, and the companies making them had started shipping the European-style cars and tracks to the U.S.
West found a dealer and bought $500 worth of cars and plastic track. As soon as he hung up the phone, he instantly regretted the purchase, he said. “I had buyer’s remorse,” West said. For that brief moment, West worried that, as an adult, the cars would not be as fun. Not $500 worth of fun, anyway. As it turned out, the cars were still a blast to play with, so much so that West thought he could make a business out of it. And he has spent much more in the meantime. “It’s sort of like the ‘Field of Dreams.’ ‘If you build it they will come,’” West said, quoting the Kevin Costner movie. So West rented space on College Road and opened up shop around Christmas 1998. It has been his full-time job ever since. In those days, West’s track was located across the street from Radio Shack, and he would watch out the window as Fairbanksans did their Christmas shopping, not even looking at his shop, he said. It was not long, though, before people started trickling in. Word spread, and a couple years later, West decided he needed more room. West moved his operation across town in 2000 to a much larger space. He built an all-new track out of wood, eventually adding another six-lane wooden track and a drag strip. Again, the space proved too small, so West had a new building built off of Peger Road on Picket Place, where his track has been since 2008. Walking through the door, visitors are greeted with the sound of cars screaming down the racetracks. The building currently houses a 253-foot track and a 273-foot track that is close to completion. West believes these to be among the longest commercial tracks in the world. “There could be a bigger one, but if there is, they are keeping it very quiet,” West said. After finishing the 273-foot track, West wants to build a NASCAR-themed track with banked turns that will run along the walls of the building and connect to the existing track. He also plans to build a drag strip to run straight through the length of the entire building. Besides being some of the longest tracks in the world, what also sets West’s apart from others is his attention to detail: The tracks are decorated with tiny, life-like scenery on some sections. Along with the tiny trees, houses and other cars, there are construction areas and even street lights. In addition to the slot cars, West also has racing simulators with racing seats and steering wheels where patrons can compete with their friends in a virtual reality game. There are televisions playing car-related videos and snacks available for purchase. The facility is also available to rent for birthday parties and other events. The average price to buy a slot car is between $50 and $100. You also can rent a car and controller at Motorleague for $5. A three-hour punch card for the track is $24. And the racing simulators are $16 for two hours. “This is like coming down and living in an episode of ‘Cheers,’” said John Minto, another one of the regulars. Did you know, Dallas: Dallas Slot Cars Slots of Fun Speedway brings back nostalgia, slot car racing to Hanover Happy Holidays! 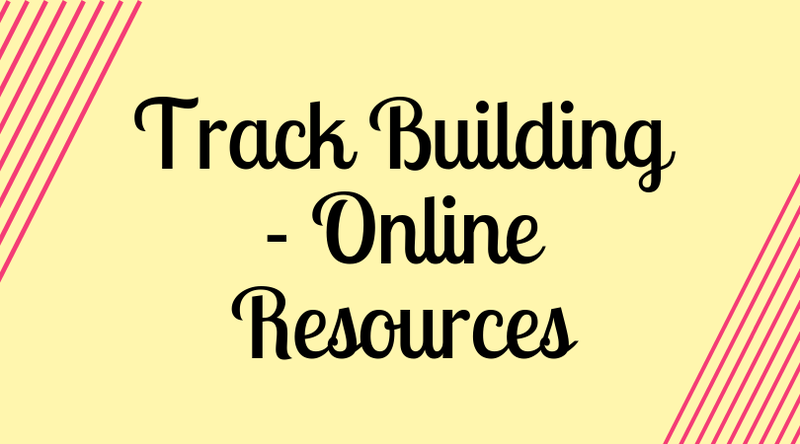 Track Building – Online Resources What is a Slot Car?